Side and rear clearances: Clearances to the rear of the stove to a combustible wall, with a heat shield and 3 foot pipe shield, are 6” from the pipe shield to the wall and 7” from the stove shield to the wall. We have decided to initially include a rear heat shield with each Progress Hybrid shipped, to facilitate safe installation. Clearances from the door side to combustibles is 24”. This will apply to the non-door side, until we do additional testing. 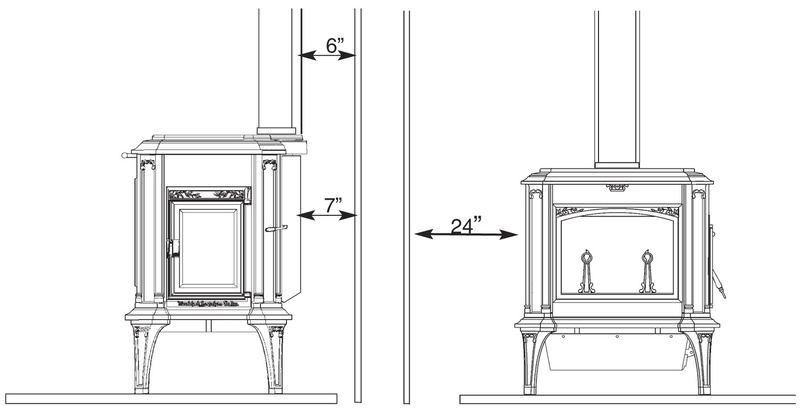 Hearth clearances with bottom heat shield package (no ash pan model)or front heat shield (ash pan model) are 16” on the loading door side, 6” behind the stove, and 8” on the non-loading door side, and 12” in front of the stove. These clearances require that the hearth have an R-value of 0.80 or greater. 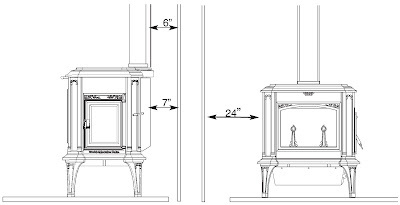 Reduced R-value & front hearth clearances: Front hearth clearances can be reduced to 8”, and the hearth R-value can be reduced to 0.40, with the installation of an optional 3.5” deep cast iron radiation shield/ash lip (outlined in red above). 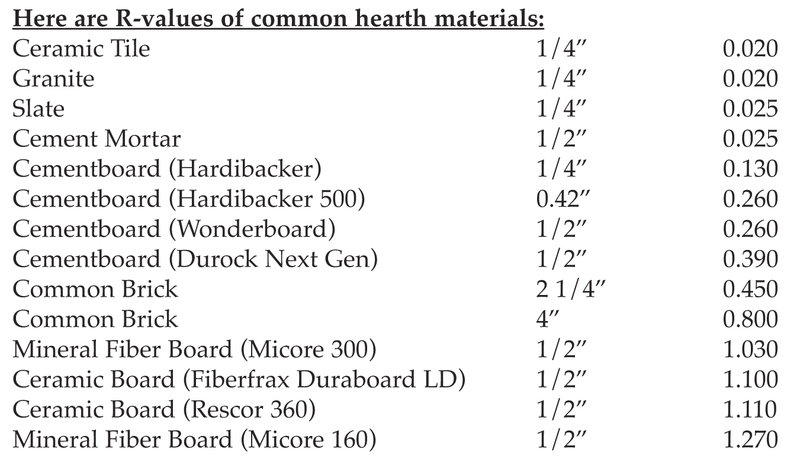 We had additional UL test conducted with the radiation shield in order to facilitate installations on hearths with R-values of 0.40 to 0.80 (typically 1/2” cementboard or equivalent, covered with 1/4” stone or tile). 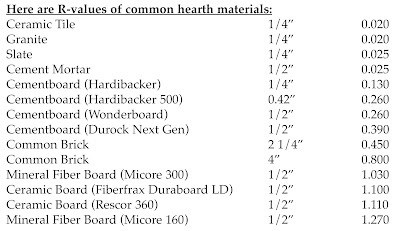 These hearths were recommended for decades by various manufacturers in the hearth industry. We are having these new shields cast on an expedited basis and expect to have them in approximately 3 weeks. We will post a picture of the design on Monday. We know customers are anxious to get their new stoves, and we’re anxious to ship them out. The stove builders are working hard to make this happen. Progress Hybrid stoves are in the process of being built, and we are working closely with the testing laboratories and regulatory agencies to finalize approvals and labels so that we can begin shipping!